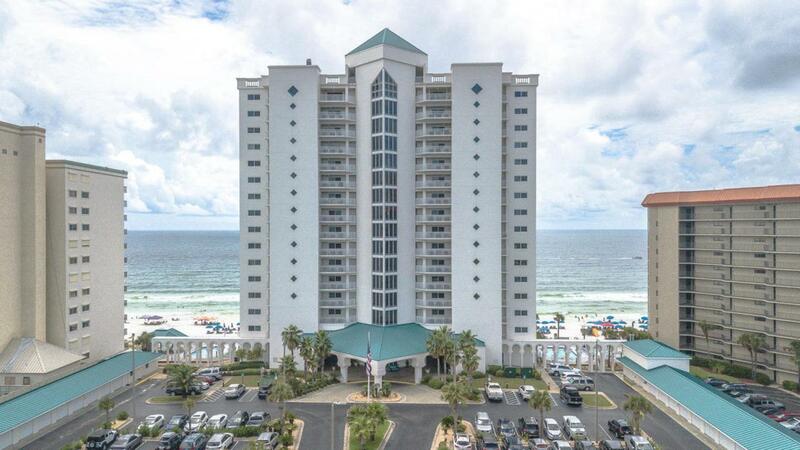 GULF FRONT 3BR/3BA Condo with DEEDED garage space in Upscale Princess Condominiums. 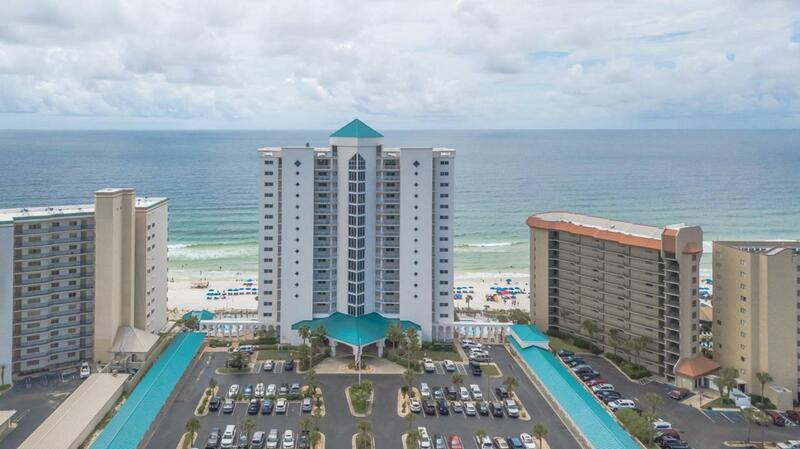 Gated complex with only 74 condos and 325 feet of beach. The Princess portrays class & elegance from the moment that you see it from a distance. This complex is nestled among Palm Trees further back from the road boasting the tropical paradise that you have always wanted. Palm trees galore! Even beach front. Fabulous architectural design, tiled entrance up to front door, large columns, extra wide walkway behind complex. This very clean unit has a new ac & washer, hot water heater replaced recently, refrigerator, microwave, stove & carpets replaced within 2 years (carpet looks new. Unit has extra large laundry room with sink and cabinets, wet bar with refrigerator, custom cabinets with stainless hardwaregranite countertops, 3 FULL BATHS. Direct gulf front master suite opens to the very large, beautifully tiled balcony accessible from living area as well. Living & master suite have HANDICAP accessible extra wide sliding glass doors and windows that extend across the entire back wall of unit. The complex features three swimming pools, one is heated inside of complex, hot tub, fitness center, game room, tennis court and basketball. This is the only 3BR unit listed in the complex. Don't miss out on your opportunity to purchase this Direct Gulf Front Tropical Paradise located on the World's Most Beautiful White Sand Beaches & Emerald Coastline. 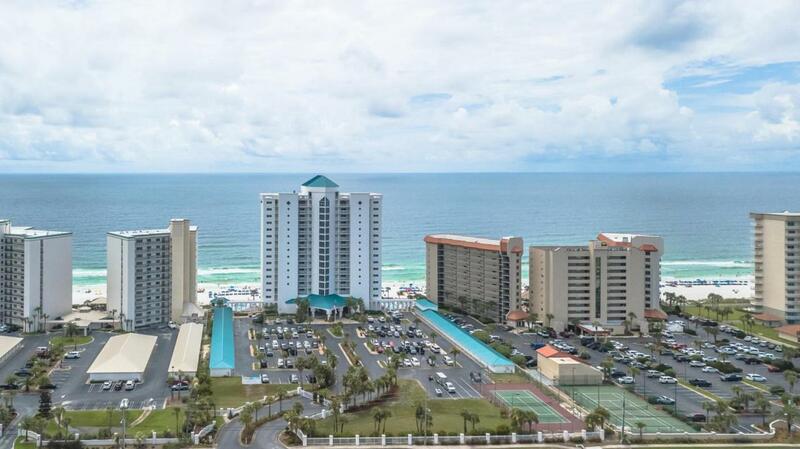 PCB has been voted #1 in 2018 for best vacation rentals. This complex is approved for VA financing. Virtual Tour under photo tab.